I am posting these 4 recipes together because, to me, they are inseparable. And although Tzatziki sauce is not Arabic, I love to add it to most middle eastern dishes. Some of you may not know what any of these things are. Others of you may have heard of them but haven’t had the chance to taste them. Below I will give a brief explanation of what they are. Hummus is a delicious Arabic garbanzo bean spread. It is popular as an appetizer paired with vegetables or pita bread, and often eaten along with meals as either a spread or a side. Not only is hummus easy to make and very tasty, it is also healthy. Hummus is rich in protein, fiber, vitamin B6, iron and much more. Traditional hummus is made by blending together cooked garbanzo beans, tahini paste, garlic, lime juice, and olive oil. My version adds plain yogurt to help smooth out the consistency. I also add roasted red peppers, cayenne pepper and feta cheese giving it a vibrant, zesty, tangy taste. 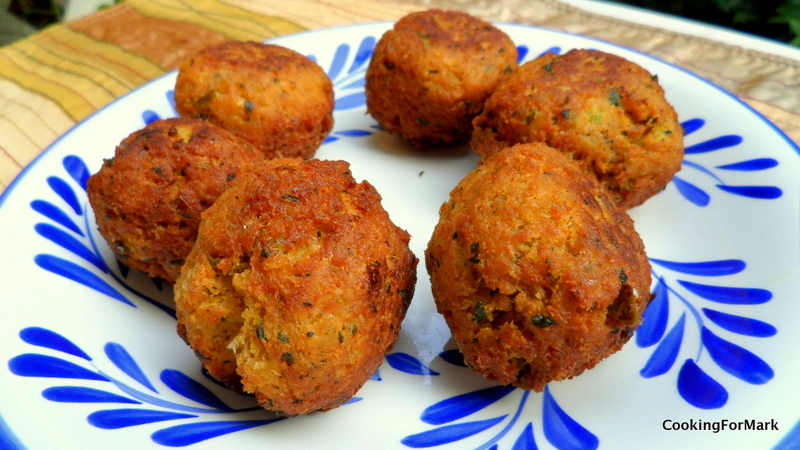 Falafel is a popular dish in the middle east, and is also made from cooked garbanzo beans. Instead of making a dip like hummus, it is rolled into small balls or patties and fried. 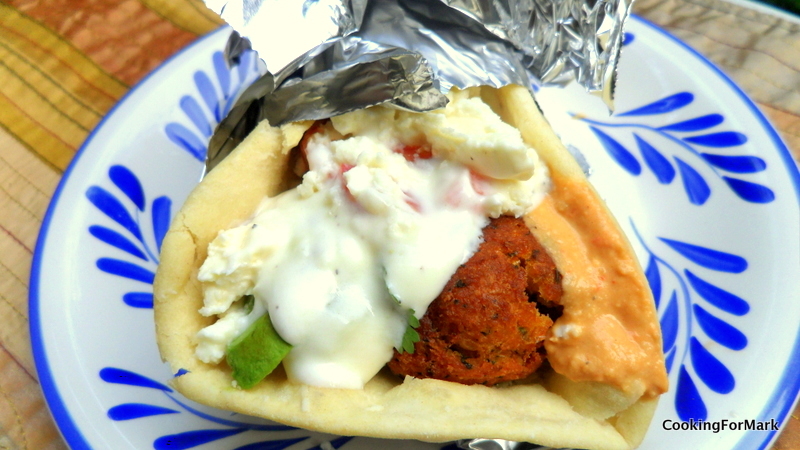 Falafels are often served in a pita with hummus, topped with vegetables and a yogurt garlic sauce. Like hummus, falafel is also healthy and is high in protein, fiber, and complex carbohydrates. Although Tzatziki sauce is Greek, rather than Arabic, I always pair it with middle eastern sandwiches or wraps. 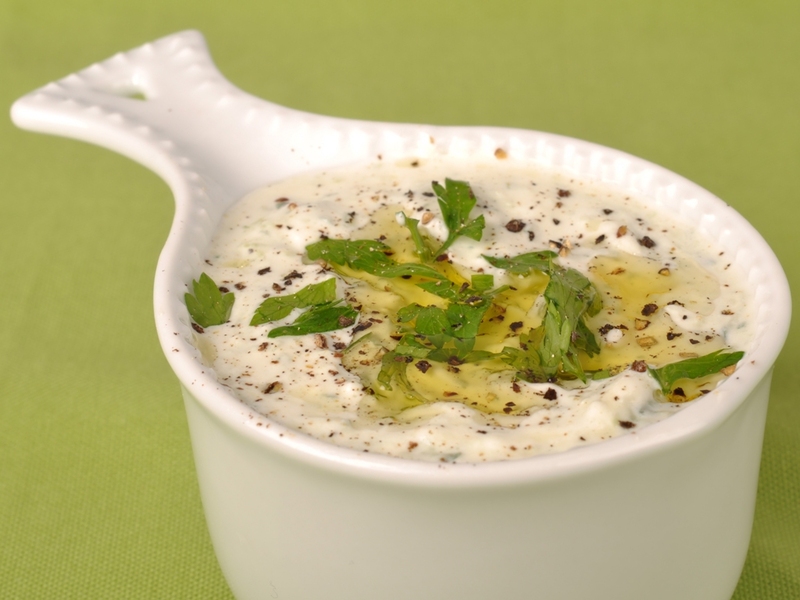 Tzatziki sauce is a yogurt cucumber garlic sauce used to top souvlaki or gyros. I love it’s light, fresh and citrusy tang. Pita bread looks like a round flatbread, but it has a pocket in the middle created by steam. 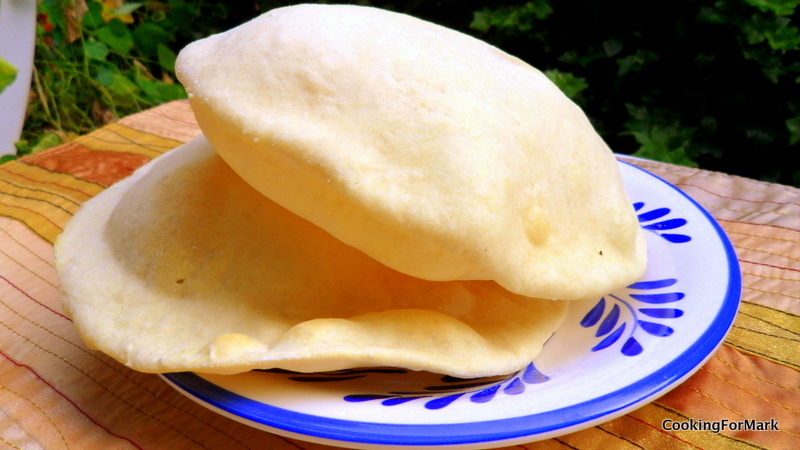 The pita bread is usually cut in half, and then stuffed to make a pocket sandwich. The pita bread is also used to accompany dips, such as hummus. The pita bread is popular in the middle east, as well as in the mediterranean. Making all of these dishes at once might be a bit daunting, but good news is you can make most of it ahead of time. I usually make the tzatziki sauce and the hummus a day before. Then making the falafel and the pita bread the next day is super easy. Note: Tahini is ground up sesame paste. You can find it at your local grocery store. Ask an employee because it may be difficult to find. It is a bit expensive ($5-7) but it will last you a while. Place everything (except paprika and olive oil) in blender or food processor and blend. Add olive oil gradually until you get a the consistancy you want (add water if too thick). Place into bowl and garnish with paprika, chopped parsley, and a bit of olive oil on top. 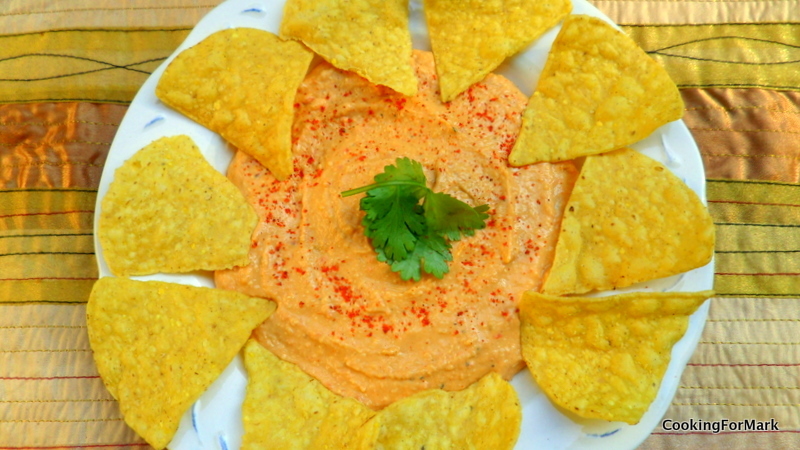 Note: Hummus can be used in sandwiches, wraps or can be served as an appetizer dip with vegetables, pita bread, pita chips or tortilla chips. Chop onions, garlic and herbs. Place everything in food processor except for bread crumbs. You can make the paste smooth or a bit chunky, according to taste. Remove from food processor and add bread crumbs. Place in hot oil and brown on each side. Note: If your patties are falling apart, add more breadcrumbs. Note: if yogurt is too tart, add a little bit of sugar to even it out. Combine all ingredients and place in refrigerator for about 2 hours before serving. The time is necessary so that the ingredients can mingle together to bring out the best taste. 1.Combine sugar, yeast and warm water and let sit until yeast is dissolved, about 10 minutes.Add 1 tbsp olive oil. Combine Flour and salt. Slowly mix yeast mixture into flour until it is all incorporated. Knead dough until smooth and elastic (10 mins). Place in lightly oiled bowl (lightly oil dough too) and cover with damp towel. Let sit for about 1 hour. 2. Divide dough into golf-ball sized balls and roll out into “tortilla” circles. 3. Pre heat oven to 425. Place rolled out dough in oven for about 3 minutes. 4. When cooked, place pita bread under a towel, this will make it soft. Optional: Before placing dough in oven you can brush it with a mixture of soft butter, grated garlic, chopped parsley, and a bit of salt and pepper. This entry was posted on August 7, 2010 at 1:28 pm and is filed under Middle Eastern. You can follow any responses to this entry through the RSS 2.0 feed. You can leave a response, or trackback from your own site. Thank you for these recipes, all my favorites! i would just like to ask if you have any history about tzatziki as i need it for a hospitality foods of the world case study. and it has to be in in a week or so. P.s i really like the recipes on here and i was thinking about making one of them at home.